Bohemian Braids have been everywhere for what feels like forever, dont get me wrong, i love a boho braid but having said that, if i have to see another bride with a braided updo or a fishtail tutorial on my pinterest, I may vomit. The dutch braid, essentially an inside out french braid, brings a girlish punk vibe to whatever you're rocking. Blue Eye-shadow has been somewhat of a taboo until recently, leaving a fine line to walk between looking just right and looking like you're headed to an 80s theme party. CHannel 90s Angelina with a deep wine or oxblood lip and a heavy liner. or Pair with spider mascara and a complementary red orange lip for a soft grunge look reminiscent of kubrick's clockwork orange. GO BOLD OR GO HOME. Update your look with some abstract, Graphic eye-liner. EDGY and minimal, it gives a simple look a bold futuristic spin.. Best worn with minimal make-up. Not an easy one to pull off on the regular but I definitely want to try this. After the abuse and over use of the top bun, its refreshing to see some low, low MAINTENANCE hairstyles this fall. From a Hike to brunch, the low knot and pony both have a sophisticated yet effortless feel. I love this trend especially because it's So easy to do, easy to maintain, and its humidity proof. 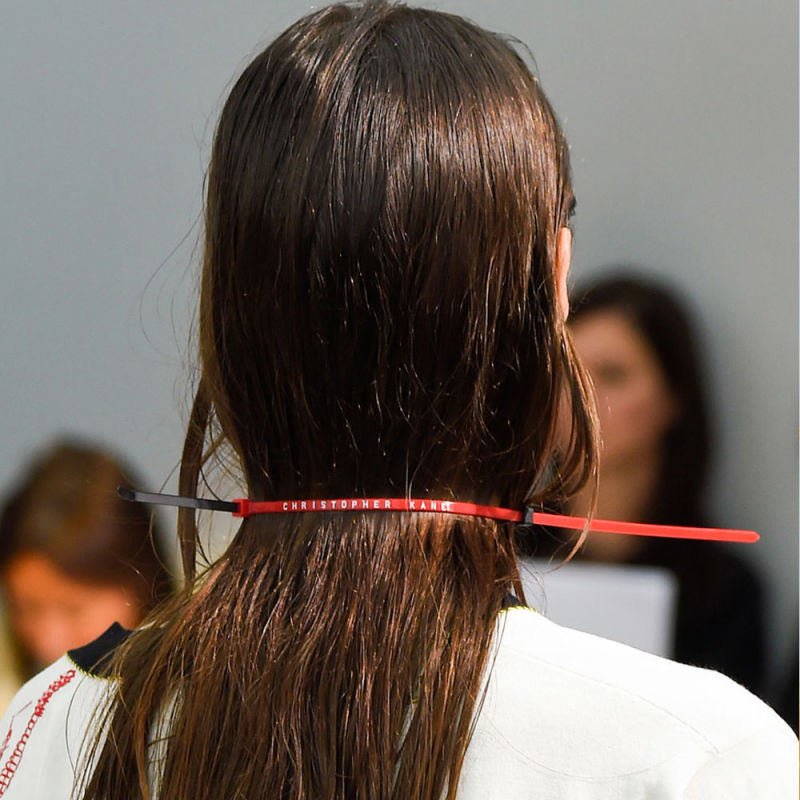 from ribbons to zip-ties, AVANT GARDE mixed material Hair Accessories replaced gold on NYFW runways. 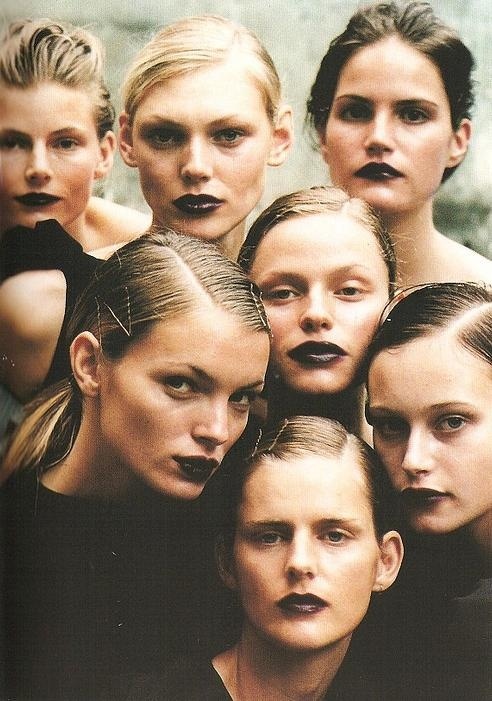 The Oxblood Lip. Wear with anything. dress it up, dress it down. Enough Said.